Grizzly was something i had suggested along with the rest of the six pack. I'm all for that !! I want "Kirby Classics"...sculpted as Kirby drew them. NOT first appearance...but after Jack had established the character. Silver Age & in their prime. The upcoming FF set is...OK...but not really on-model. Uniforms should look more like jumpsuits with t-shirt collars. Not interested in a "standing there" Human Torch...make him posable in flight with flight stand...ankles touching...toes pointed...head back...arms extended forward with open palms. I would love those Kirby figures. I would also like a couple of real obscure characters. 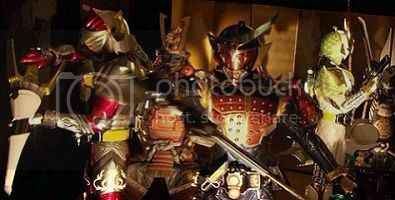 Give me Omega The Unknown, Skull The Slayer, Gargoyle, and Richard Rory. Classic Hercules or 80s H harness Herc. A serious re-do is in order for this classic Avenger as the 1st version looked like Burger King on roids. We need the New Fantastic Four in their FF costumes (Hulk, Wolverine, Ghost Rider and Spidey) they would sell like hotcakes!!! Since they seem to be focusing on F4 stuff now...can we please get a Wizard? I know he's not an A-level villain but he's got to be in the top 5 F4 villains. He would be a relatively easy sculpt too I'd think, and with the head sculpt done we'd have an easy way to Karnack. How about a new She-Hulk in her F4 costume? Maybe actually do some new tooling to fix the sad state of affairs that is the Red She-Hulk body mold. Probably not the most popular opinion, but I'd love a Walgreen's F4 release of the kids, Franklin & Valeria. I'm honestly expecting to hear about either a Super Skrull or Doctor Doom around SDCC. How about a Killraven figure? I would love that. Yes to Doctor Doom, Skrull Army Builders, Super Skrull! '70's/'80's Comic versions of: Luke Cage Powerman, Iron Fist and Moon Knight! That'd be cool but probably way too obscure for Walgreens. I say the release a judith chambers with a staff, flame effects and a black modesty poncho like gamoras. I drove futher to get some of those exclusives. Id drive to hell to get a satana! This right here. They've already sort of teased it; the BAF Man-Thing has a hole in his shoulder, assumably for a peg, and the only character that's ridden his shoulder was our dear Mr. Howard. I just hope it's a Marvel Zombies-style Howard. With some big guns. Franklin Richards has also ridden on Man-Thing's shoulder in the Daydreamers comic series. Which, given the FF theme for Walgreens exclusives, could be a tease in that direction. Doom is really the only other character I think can be safely assumed would be coming, well along with the already listed Super Skrull, unless that's been cancelled. They may switch focus or may stick with F4 related, but I think there's reasonably no way they would do a F4 set with all four figures and then not follow through with Doom. Personally I would have loved if, when the F4 figures focus started, they had started through on a BAF Galactus and included parts with each figure even if it meant taking 3-4 years to complete, but I guess it's too late for that now. Unless they offered one giant sized figure at something like a $50 or $60 price point. But I don't really see them doing that. Last edited by Veronica Mars; 07-13-2018 at 11:55 AM..
Doom has to be next you would think. Complete the FF universe. I'd also like a classic Moon Knight and a She Hulk. Wonder if Magik is any kind of indicator that Walgreen's is through with their current F4-related streak. A little selfish, but I'd take any opportunity to get more mutants.